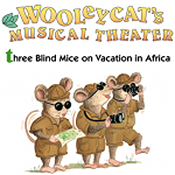 Wooleycat is a master storyteller and songster who invites children into imaginative play and creativity. 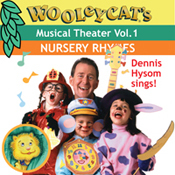 He is the Master of Ceremonies in the award-winning “Wooleycat’s Musical Theater,” a book with song CD (Tortuga Press). 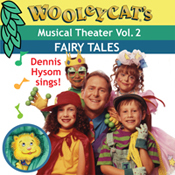 He is also the inspiration for other well-loved song CDs based on Nursery Rhymes and Fairy Tales, a video, books, apps and media available or in development for families, children and teachers of preschool through third grade. 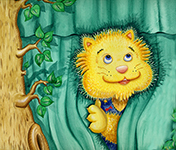 Wooleycat’s reputation has been growing for two decades. Many of his early fans are now parents with children of their own. Every day he makes new friends. 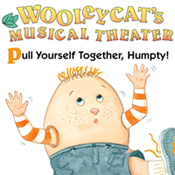 Dennis Hysom and Christine Walker are the creative partners behind all of Wooleycat’s shenanigans. Dennis is a musician, music producer and song-writer. Christine is a visual artist, writer and lyricist. 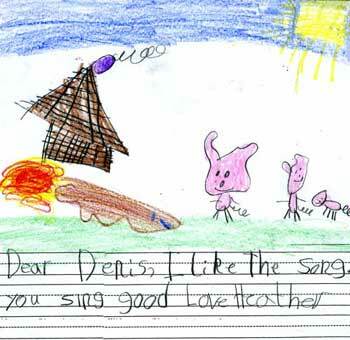 Dennis gives concerts in schools and for community events. Together they lead song-writing workshops. When they were young, they loved music, books and art—and they still do! 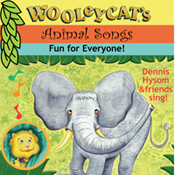 They began writing songs for their nieces and nephews and children of friends, and now they often receive calls and emails from fans who grew up with Wooleycat’s music and have children of their own. To learn more, follow the links below to their individual websites.